Dotty Mares attended our annual Christmas Street Fayre in Cookham Village this year and went down a storm! From booking point to the end of the event, the team were outstanding in their professionalism, organisation, quality and support at our event. They sum up exactly what mobile events are about and judging by the feedback of our visitors, we truly hope they will attend each year. Superb 5 star service with a fantastic friendly approach. I attended the launch of Dotty Mares on 12/08/18. What a lovely friendly atmosphere. The service was happy and welcoming, the drinks were lovely as well. I wish you every success in your new business. Book now and you won't be disappointed! "This is a beautiful bespoke bar." Fantastic launch, gin and pimms were absolutely yummy and loved pimping my prosecco! "A proper gem for gin and fizz lovers." Fabulous! 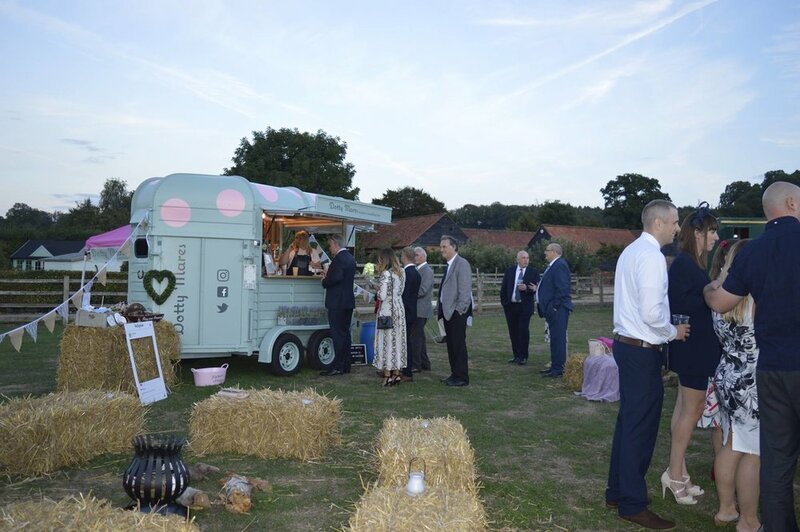 A proper gem for gin and fizz lovers... Dotty Mares is a must to uplift any event! 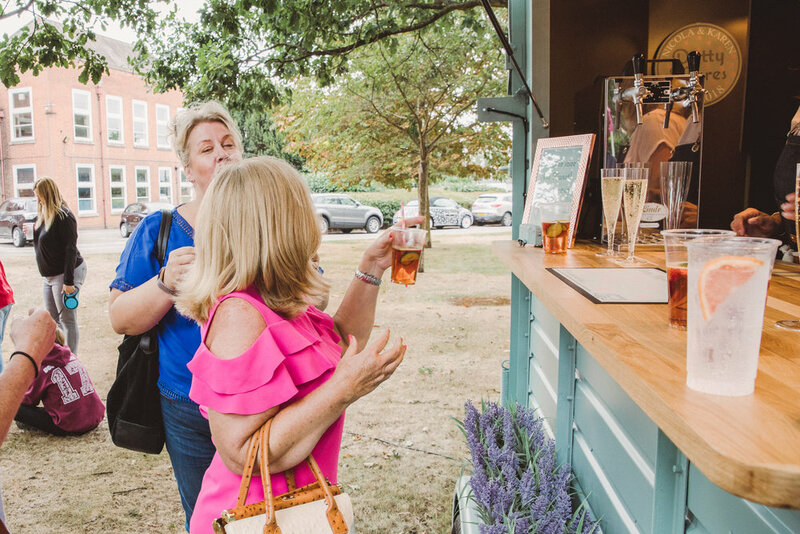 "These ladies have thought of everything"
A beautiful converted horse box, large selection of drinks, these ladies have thought of everything, it’s fabulous. Wonderful way of providing a bar at events such as weddings, parties etc. Loved the branding and the staff are great!